I began my professional career in higher education at Texas Christian University (TCU) in Ft. Worth, Texas. The first project I worked on was the development of an incoming student retreat program that we ultimately named, “Frog Camp” (TCU’s mascot is the Horned Frog). The camp was a four-day, three-night retreat to a nearby camp. 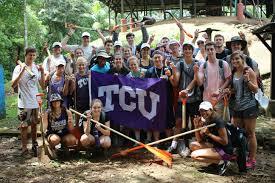 At the camp, students were grouped into “Frog Groups” of ten-twelve students and partnered with a member of TCU’s staff or faculty and two upper-class student leaders. 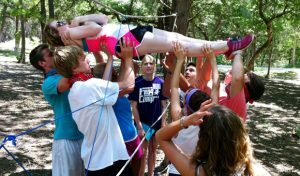 Over the days ahead, students went through low and high element challenge courses together, learned about TCU’s history, traditions, and spirit, shared their hopes, challenges, and dreams with each other, and generally had a great time together. By the time they returned to TCU, they had a close group of friends, a strong connection with at least one member of the faculty or staff, a connection to two upper class student leaders, and an emerging identity as a “Horned Frog.” Frankly, we were surprised by the enthusiasm and energy accruing to the program and even more surprised by its impact on retention. In its fourth year, participation in Frog Camp was second only to fraternity/sorority life in its impact on whether students returned to TCU for their second year. Consider this: at TCU, students involved in a fraternity or sorority had a first to second year retention of nearly 92%. Students attending Frog Camp and in a fraternity or sorority were retained at a rate of 94%. Students only attending Frog Camp were retained at 90% and students who did neither were retained at a rate of 68%. These results are compelling and suggest that students stay in college and graduate when they wouldn’t dare to leave college because their experience, friends, and involvements have become so important to them. In my opinion, colleges all over the United States spend thousands asking departing students why they are leaving. While these students may be able to offer reasons, I believe that they are, in most cases, leaving because nothing happened to them while they were there that made it unthinkable that they would ever leave. 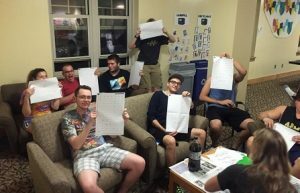 My Frog Camp experience has forever colored my thinking about retention and it illustrates the immediate importance of helping your student identify and execute means to get involved and connected as quickly as possible through immersive experiences that connect them to others and their college. Join us next time as we look a little more deeply at the profound impact of campus involvement on student success and identify some options to help your student get connected. Ask to meet with a faculty member in a few of the major areas you or your student are considering. Most colleges can arrange this during a normal semester. You might also see if you can visit with a student in those majors. Ask to meet with a representative from any other co-curricular interest area that is important to you. For example, you might want to visit with a club sport representative or sports coach, band representative, honors program representative, residential learning community representative, study abroad representative, etc. Before going to campus, write out a list of questions you would like to have answered while visiting the college. 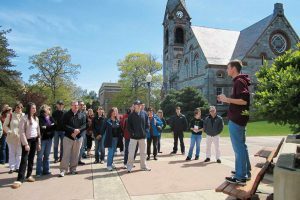 Your tour and admissions visit will focus generally on the college – everything from buildings, food, application process, financial aid, co-curricular activities, residential living requirements, etc. This is where you can ask your general questions about the college. When you meet with representatives from the co-curricular areas, focus on: how to join or qualify; how to balance involvement in the activity with academics; and the benefits and challenges of becoming a part of the activity or organization. 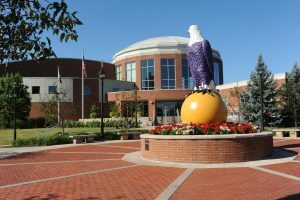 One final thought – most families visit a campus more than once. Once you conduct your initial visit and actually apply for admission, you will often be invited to “open house” events focusing on the major area/s of study you indicated on your application. Some campuses may even invite you to spend the night with another student on campus so you can get a feel for things first hand. 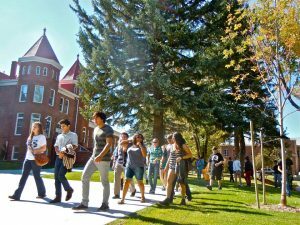 Many will tell you that a student should pick the college that “feels” like home. We argue that a better approach is one that is more informed and this kind of visit will help you get there! Now get out there and visit some campuses! In our work with students, we begin by exploring courses that they enjoyed or excelled at in high school, hobbies, interests, as well as college major and career aspirations. After a lengthy conversation, a general picture of a students potential academic strengths and interests begins to form. While preliminary, it does give us an opportunity to cast a broad net in order to offer the student possible majors to explore and a map for how to accomplish that when they visit colleges. 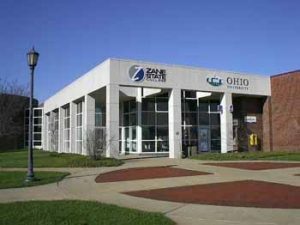 High school students seldom know what college major options are available, what each really entails, the courses that will be a part of that major, or how each major might translate into a possible career starting point. One important distinction we make is the difference between a research or “pure discipline” major and an applied major. This distinction helps students begin to consider a broader set of options than they might other wise. The best way to make the distinction is with examples. Mechanical Engineering is, fundamentally, applied Physics. So a student interested in a Physics major (pure discipline) might also want to explore its practical application in Engineering (applied major). The fields of Journalism, Public Relations, and even Digital Media draw heavily on writing skills. So, students who enjoy English (pure discipline) might also want to consider these majors in other fields that draw heavily on related skills. Students with strengths in Art (pure discipline) may also want to consider Graphic Design, Marketing Communication, Digital Media, Interior Design, or Industrial Design – all applied majors. A benefit of applied majors is that they offer a clear progression to career opportunities, internship options, and typically lead to larger starting salaries than their pure discipline major counterparts. There is also the opportunity to partner applied majors and minors with pure discipline majors and minors such that real synergies are realized. For example an Art major may be combined with a Graphic Design minor or vice versa. These types of combinations are powerfully motivating to students, offering both intellectual growth and practical application. 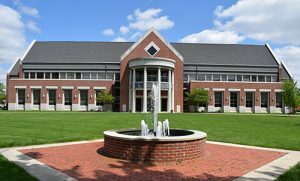 A number of colleges in Ohio offer Residential Learning Communities. Each community is organized around a theme which may be either academic or special interest. 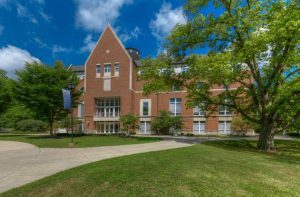 Students sharing the particular interest are grouped together in a residence hall, assigned upperclass students and a faculty or staff representative who provides on going programming and other activities typically designed around the theme. 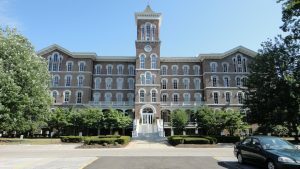 For example, an Arts Residential Learning Community might provide individual student studio space, arrange field trips to local gallery exhibits, or connect students taking the same classes into study groups. An “Outdoor Adventure” Residential Learning Community might coordinate backpacking, rock climbing, and kayak weekend trips while bringing in well known outdoor speakers. Statistical evidence shows that students living in residential communities make smoother and more successful academic and social transitions when entering college. 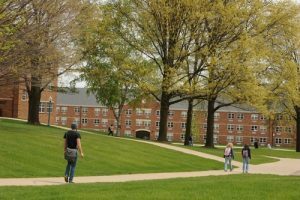 They also thrive academically, interact more frequently with faculty and develop a strong sense of communal belonging, which results in a deep-seated connection to the University as a whole. Not only that, but the cost is typically the same as for a traditional residence hall room. What’s not to like! Here is the latest College Bound Advantage Newsletter!